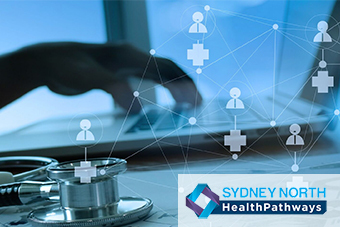 Since the launch of Sydney North HealthPathways in May 2017 the program has continued to grow with over 1700 GPs, Allied Health and Hospital clinicians accessing the website. Over 185 pathways have been completed across a number of conditions including; Diabetes, Palliative Care, Mental Health, Sexual Health and many more. Completing almost 200 pathways is a significant achievement and a sign of the team’s commitment, collaboration, and perseverance. Sydney North HealthPathways has been an exciting collaboration between the Sydney North Health Network and Northern Sydney Local Health District, a platform which is driving integration across the region. During pathway development, the team has engaged with over 1700 health professionals in Northern Sydney, through clinical workshops, pathway consultations and promotion at CPD education events. “Health Pathways is a wonderful resource for GPs and other health professionals working in primary care. With succinct clinical information, and management and referral options for a growing number of presentations, the platform will continue to expand and provide our patients with the best possible care” says HealthPathways GP Clinical Lead, Dr Fiona Robinson. If you are a health professional practising in Northern Sydney, and you have not already received login details, please email healthpathways@snhn.org.au. To read more about the HealthPathways Program visit our website. See HealthPathways Overview April 2018. To inform ongoing HealthPathway development for Sydney North, you can complete this short 8 question survey (approx. 5 minutes).